Sarah Palin has filed a lawsuit against the New York Times on Tuesday over an editorial that linked her directly to a fatal mass shooting. Palin is a former governor of Alaska and was Republican Sen. John McCain’s pick for vice-president during his failed 2008 presidential bid. The New York Times originally published the piece, authored by its editorial board, on June 14, following the shooting at a congressional baseball game that wounded Republican Rep. Steve Scalise. The original version of the editorial stated that “the link to political incitement was clear” when Jared Lee Loughner opened fire in a supermarket parking lot in 2011, killing six people, including a 9-year-old girl, and wounding Rep. Gabby Giffords. Palin actually circulated a map that had stylized crosshairs over electoral districts, not people. It was later determined that Loughner had prepared for the attack long before Palin ever released the map. 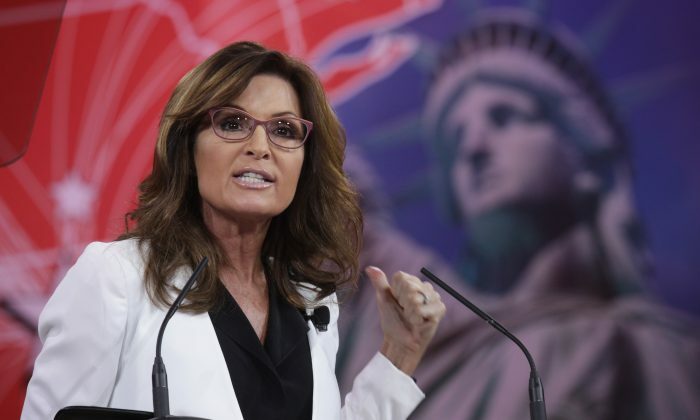 Palin is represented by lawyers Kenneth Turkel, Shane Vogt and S. Preston Ricardo. Turkel and Vogt were the lawyers who sued Gawker Media Group for $115 million on behalf of wrestler Hulk Hogan. The case was settled for $31 million in damages, forcing Gawker to file for bankruptcy and shut its doors. 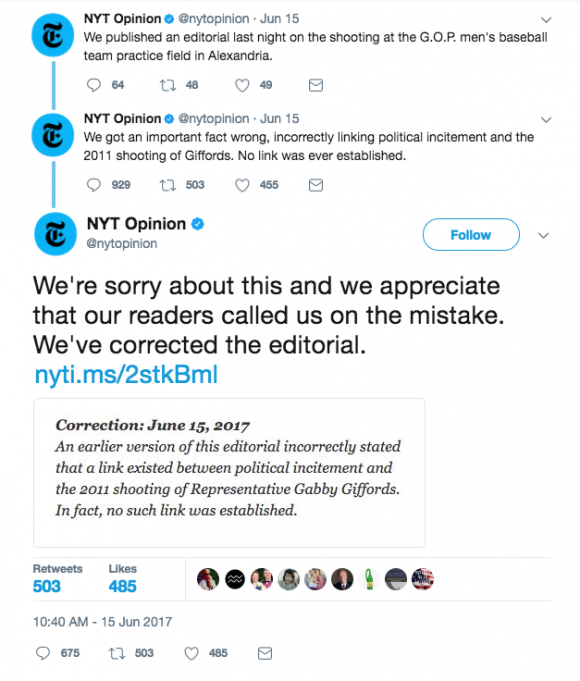 The Times issued a correction within days of publishing the editorial, admitting that no link was ever established between political rhetoric and the Giffords shooting and that the editorial falsely described the map Palin circulated. The newspaper did not apologize to Palin or mention her by name. 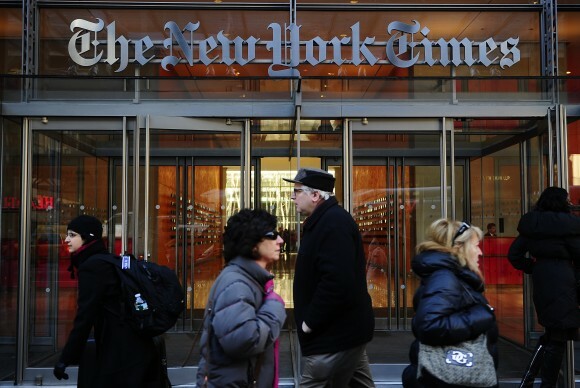 The lawsuit was filed in the Southern District of New York’s U.S. District Court, asserting that the Times knowingly printed the false claims, since the newspaper had previously published reports that contradict that claims in the recent editorial. The damages are to be determined by the jury. The Times published an article about the lawsuit on Wednesday, accompanied by a brief statement. “We have not reviewed the claim yet but will defend against any claim vigorously,” a spokeswoman for the New York Times said in a statement. Palin was outraged by the editorial when it was first published.